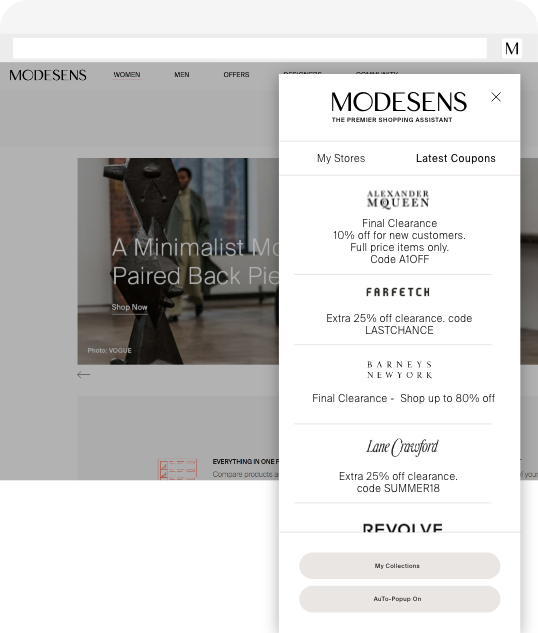 ModeSens is the only shopping platform that is on your side even when you shop directly on one of our partner stores’ websites. 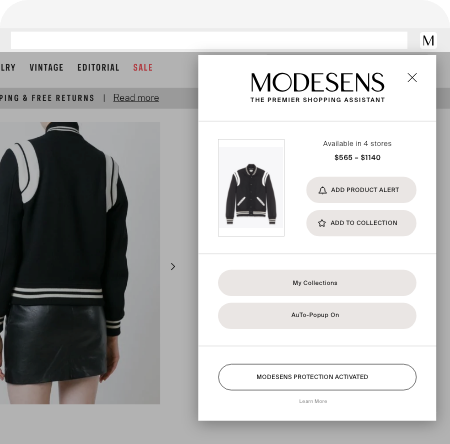 With the ModeSens Shopping Assistant browser extension you can easily add items to your wish list, set sale alerts, check availability and find coupons from hundreds of online luxury stores. It’s all right at your fingertips. Get ready to shop smarter. Stay up to date by setting alerts on your favorite products. 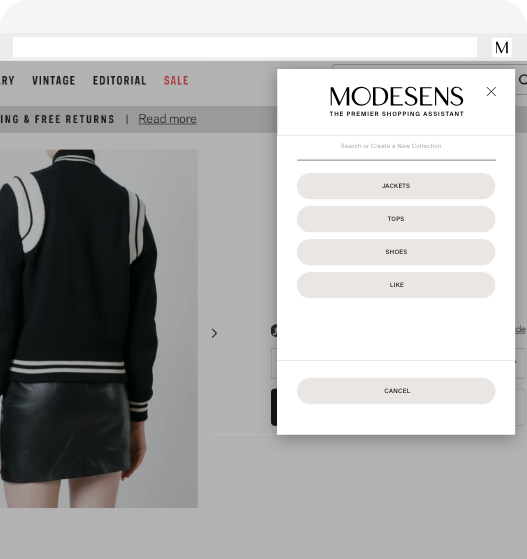 ModeSens automatically updates you as soon as new arrivals, back in stock items or sales pop up. 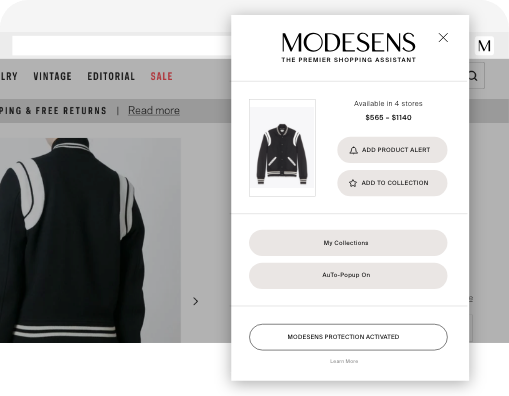 Our Closet feature allows you to keep track of what you own now and create a wishlist for what you want to in the future. Easily view the latest coupons and offers from each of our partner stores. 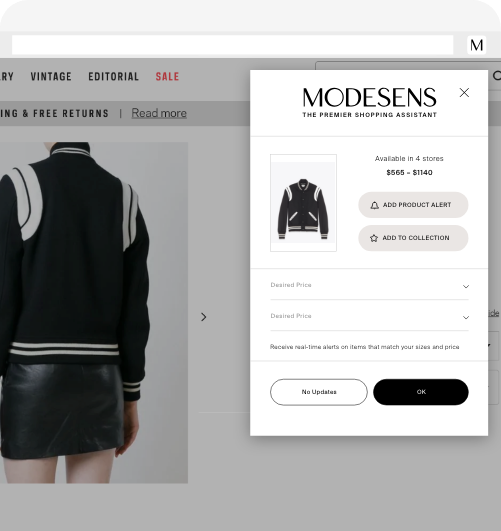 Click through on the extension to view an item on ModeSens and uncover all of the details you want to know about pricing, sizing and retailer availability.